Fit: An Architect’s Manifesto is a book about architecture and society that seeks to fundamentally change how architects and the public think about the task of design. Distinguished architect and urbanist Robert Geddes argues that buildings, landscapes, and cities should be designed to fit: fit the purpose, fit the place, fit future possibilities. Fit replaces old paradigms, such as form follows function and less is more, by recognizing that the relationship between architecture and society is a true dialogue—dynamic, complex, and, if carried out with knowledge and skill, richly rewarding. With a tip of the hat to John Dewey, Fit explores architecture as we experience it. Geddes starts with questions: Why do we design where we live and work? Why do we not just live in nature, or in chaos? Why does society care about architecture? Why does it really matter? Fit answers these questions through a fresh examination of the basic purposes and elements of architecture--beginning in nature, combining function and expression, and leaving a legacy of form. Lively, charming, and gently persuasive, the book shows brilliant examples of fit: from Thomas Jefferson’s University of Virginia and Louis Kahn's Exeter Library to contemporary triumphs such as the Apple Store on New York’s Fifth Avenue, Chicago’s Millennium Park, and Seattle’s Pike Place. 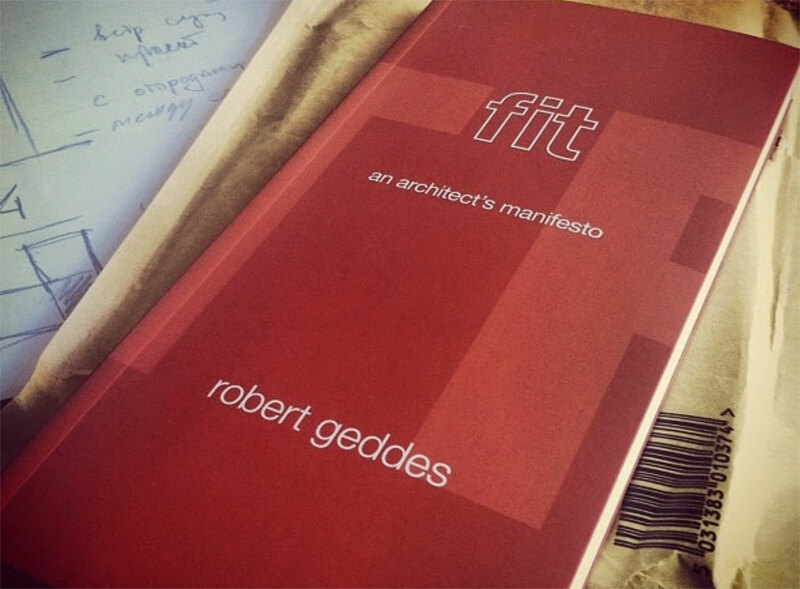 Fit is a book for everyone, because we all live in constructions--buildings, landscapes, and, increasingly, cities. It provokes architects and planners, humanists and scientists, civic leaders and citizens to reconsider what is at stake in architecture—and why it delights us. Fit: An Architect’s Manifesto is available through the Princeton University Press and other booksellers.